How Does the National Math Club Work? Groups register in the fall and club leaders run math club meetings throughout the year. Club leaders receive a free Club in a Binder with fun games to play with their club members. 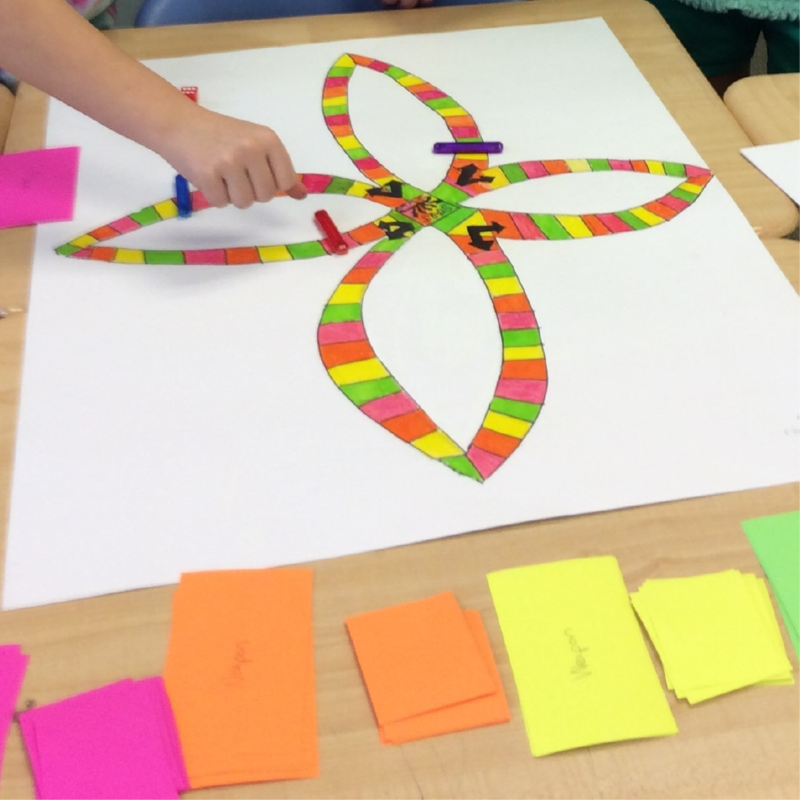 Every MATHCOUNTS club game can be played with groups of all sizes, with students of all ability levels and with simple materials like dice and paperclips. Active clubs can earn additional recognition by going for Silver and Gold Level status. Can be played and explained by anyone. Includes an optional mini math lesson. Works for clubs of all sizes. Can be played with everyday materials like playing cards. Can be made more or less challenging to meet the needs of many students. 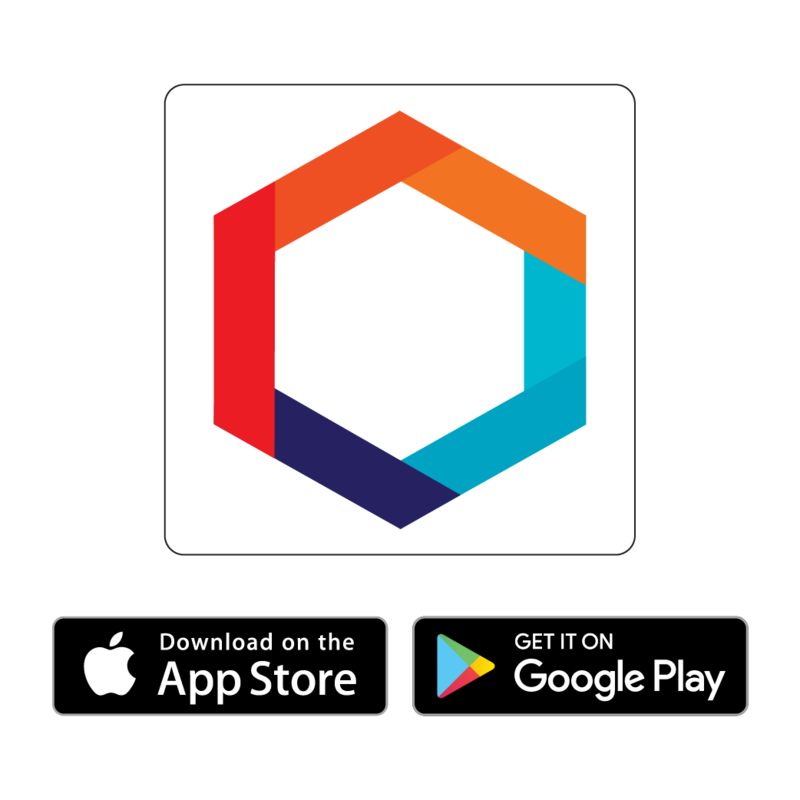 Games that use materials like playing cards, 6-sided dice and marbles can be played with the free MATHCOUNTS Club App. The app has card and dice generators needed to play games, and is available for free download at the iOS App Store, as well as the Google Play Store. Schedule and run math club meetings for participating students. Help motivate and support students. Complete and submit the application for Silver Level status, if your club decides to go for this recognition. Supervise the completion of the Gold Level Project and submit the application for Gold Level status, if your club decides to go for this recognition. Know how to explain every math concept perfectly. Club games are designed to be accessible for anyone, whether or not they have a math background. Spend their own money to be effective. See resources above for why! 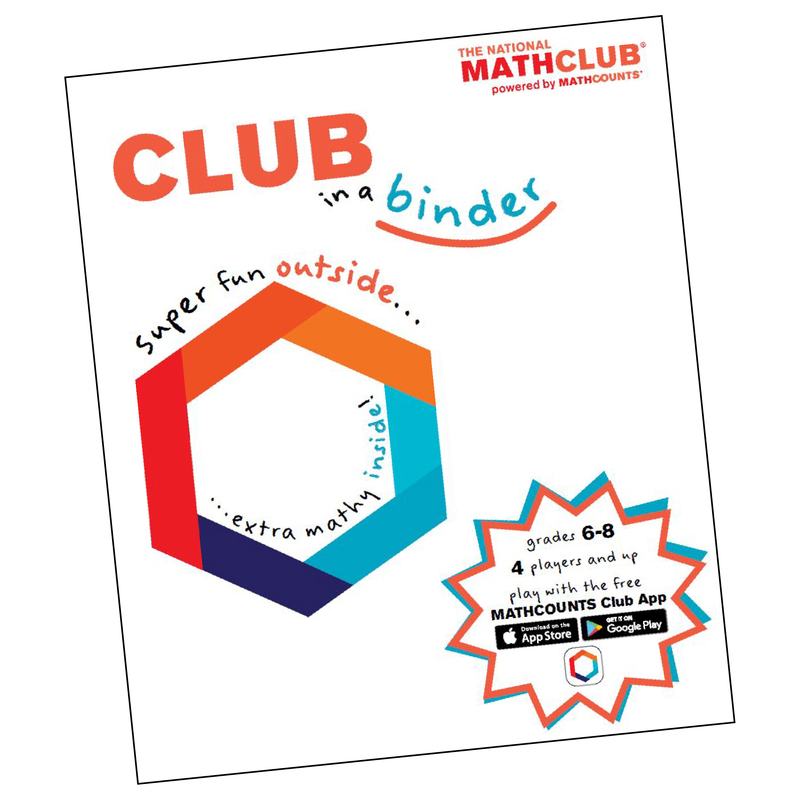 In addition to playing fun games, club leaders can get their students recognition for participating in a math club. Learn more about Silver and Gold Level below! Rewards clubs that meet at least 5 times during the program year. Club leaders can apply online or download the PDF application (shown above) at the Club Dashboard. 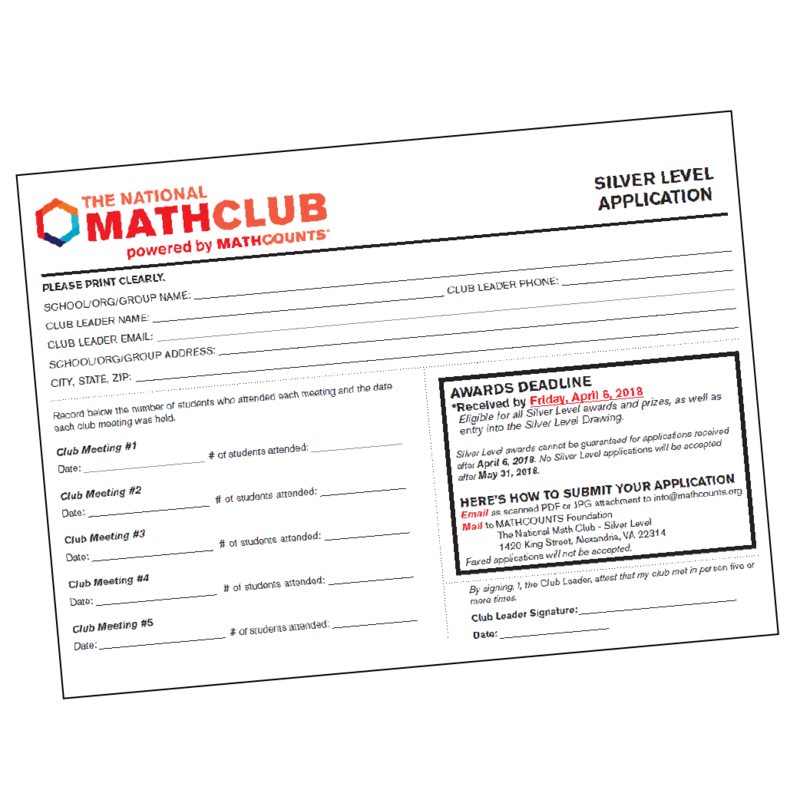 Silver Level clubs that apply by the deadline receive a pennant, MATHCOUNTS pencils, student certificates and entry into a drawing for a $250 gift card (10 drawing winners selected). Rewards Silver Level clubs that complete a collaborative group project, like the one pictured above, which was done by math club students at St. Catherine's School. Club leaders can get instructions for completing the Gold Level Project at the Club Dashboard. Gold Level clubs that apply by the deadline receive a banner, MATHCOUNTS pencils, student certificates, entry into a drawing for a $500 gift card (5 drawing winners selected) and entry into the Grand Prize Drawing for a $500 gift card and an all-expenses-paid trip for 4 students and the club leader to attend the 2019 Raytheon MATHCOUNTS National Competition in Orlando, FL (1 drawing winner selected). Read through the Rules & FAQ. You can make your math club awesome using the free resources above, but if you are interested in purchasing additional materials or swag for your students, check out the MATHCOUNTS online store. Contact us anytime at info@mathcounts.org! We're happy to help with any questions you have about being a club leader, the National Math Club or resources available to you.